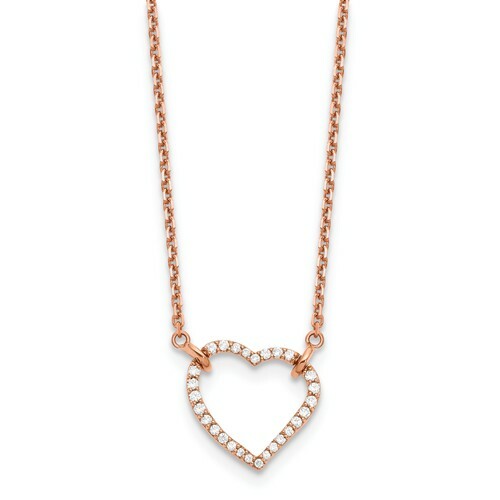 This 14k rose gold 2/5 ct True Origin lab grown diamond heart pendant dangles from a 14k rose gold 18in cable chain with lobster clasp. Diamond details: round lab grown diamonds, color E-F, clarity VS2. 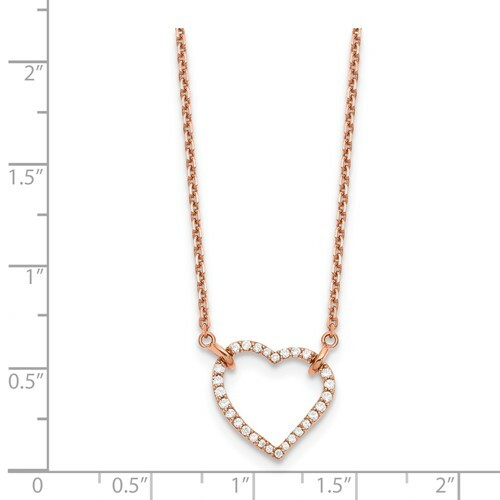 Pendant size: 14.1 x 14.8mm, slightly smaller than a dime. Approximate item weight: 2.4 grams. Import.